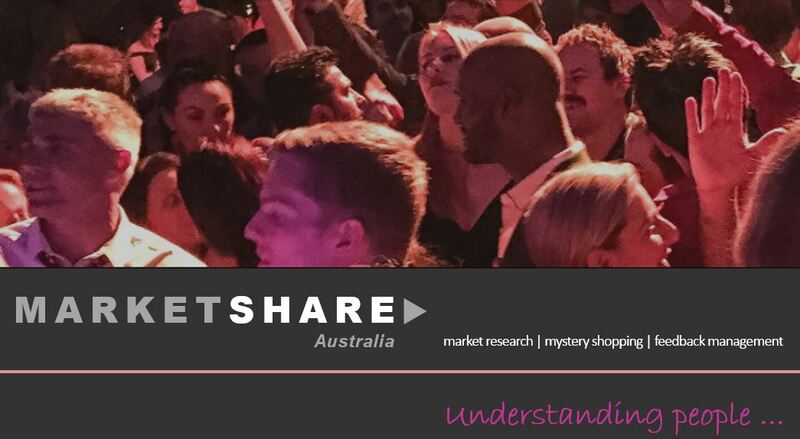 Based in Brisbane, Marketshare Australia is a boutique Market Research agency specialising in Market Research, Mystery Shopping, and integrated Customer Feedback Systems. We have been providing these services to Businesses and Organisations internationally, nationally and locally for over 30 years. We use new technology and systems that are simple to use and provide information that is succinct and insightful. Many organisations offer similar services and provide complex systems and platforms that allow for an infinite number of ways of segregating, disaggregating and analysing information. Our clients like to work with us because we provide a simple solution to what appears to be a complex problem – understanding their needs and delivering on those. Our people live and breathe ‘understanding people‘. It’s at the heart of everything we do and how we conduct our business. Our team are focused on servicing our clients and helping them understand more about their customers. And providing answers to what your clients or customers (people) want. We have worked with organisations in each of these sectors to provide unique business insights that only a customer focused perspective can provide. We provide you with information that will ultimately guide you on how to improve your products or services to meet your customers or clients’ needs.